Found another false positive: Giratina holding a Griseous Orb becomes Giratina-O, gaining Levitate as it's ability, but the legality checker declares the ability is hacked because it isn't part of it's normal dex entry. Edit: Shaymin-S is the only other pokemon I can find that has a different ability while in an alternate form. It's not based on a held item like Giratina's is, but it'll probably hit the same false positive. Alternate forms like Skymin or Giratina-O are not supported yet. The form exclusive moves/abilities/stats are not recognized. I have a couple of false negatives to report. http://pokecheck.kraftpaper.org/?p=detail&uid=129540, A level 2 rilou in a masterball. http://pokecheck.kraftpaper.org/?p=detail&uid=129537, A level 5 treeko in a masterball. Neither of these are in the wild at those levels, therefore they cannot be in masterballs. Infact, treeko don't even exist in the wild. I know, you're going to say, "What about the dream world?" If they were from the dream world, they would 1. Have dream world abilites. 2. Not be shiny. 3. Be level 10 or higher. Those were probably obtained by action replay modifier. They are not recognized as hacked because there are no encounter (location+level) checks for generation 4, and since the catch location AND encounter level are deleted during transfer to gen 5 it is very difficult to check previous gen encounters without making many legitimate events or special cases illegal, like all the pokémon ranch stuff. In other news I fixed Giratina-O and Skymin (the stats, abilities and moves, not the sprites). Out of curiosity I thought I'd check out my pokemon and I'm getting "Default strain (might be from hacked pokérus)" for my pokemon when I know I obtained it legitimately. My username on the site is slash. I got pokerus randomly on Black from some wild pokemon which I killed and have spread it to all my other pokemon. I also find it odd that I get told "Pokémon is likely edited or RNG abused." when I RNG abused other pokemon and didn't get that message. 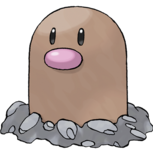 This pokémon is not nicknamed but its name doesn't match the species name for its OT's language. " Went on the usual sites and checked its name and it's ベトベター there as well. Just thought I'd go ahead and post about it. Thanks for reporting the problem. I already know the "ー" is at fault but I'm waiting for confirmation by Guested to be sure your pokémon has the correct transfered name or if all poketransfer programs are wrong. The default strain can still be infectious to other Pokemon. It's only saying that it got infected from Gen 4 Pokerus, or it was hacked on and then spread. Also, I have a question regarding Gen 5 PIDs... I believe last time I checked some of my pokes they were alright, but now they say Invalid... It's all my JP pokemon from JP White. You're right abotu fossils, I broke their encounter check by accident but it should be fine now. I don't know about the PID problem for your white version, I need links to check them. Here's one... I can go get some more. After discussing your problem with Bond697, we reached the conclusion that your PID must have been altered somehow. Did you catch those pokémon yourself or did you trade them? Were you using an action replay when catching them? Pokécheck is right again. Please only report pokémon which you know are legit and show up as hacked - if you know it's hacked then don't be surprised if pokécheck tells you it's hacked. My mistake, you're right. Trading eggs works except to japanese and corean games, because I'm missing the character table used for nicknames in those versions. The problem will be fixed once I find screenshot of all the character tables in jp/kr versions of the game and add them. What does the message "Invalid egg receive date." mean? An RNG'ed Feebas from a trade said that, as well as a Houndour I RNG bred myself. Does it have to do with dates in the future? Both of them had future dates (April 23, 2013 and June 25, 2011 respectively). You get this warning when one of the encounter date is in the future or before B/W release, or when an egg was hatched before it was obtained from the daycare. Most of the time this warning is not a bad thing as it is typically found on RNG abused pokémon. It seems that I got everything right here but I still got an error 13266... Can anyone tell me what my problem is ? I don't understand your problem - you get error 13266 when a pokémon is successfully recorded on Pokécheck, this does not indicate an error. It's okay now ! Sorry for all the trouble ! It works fine on the official gts. Yeah... A Level 100 Porygon-Z just failed the check because Tri-Attack was detected as a hacked move. In Gen V.
P.S. It learns it at 51. This Pokémon was evolved after being transfered to gen 5. Found valid gen 4 trash bytes from original name "STARMIE".